If you are a fan of It's Always Sunny In Philadelphia, you are more than familiar with the McPoyle clan and their creepy incestuous ways. 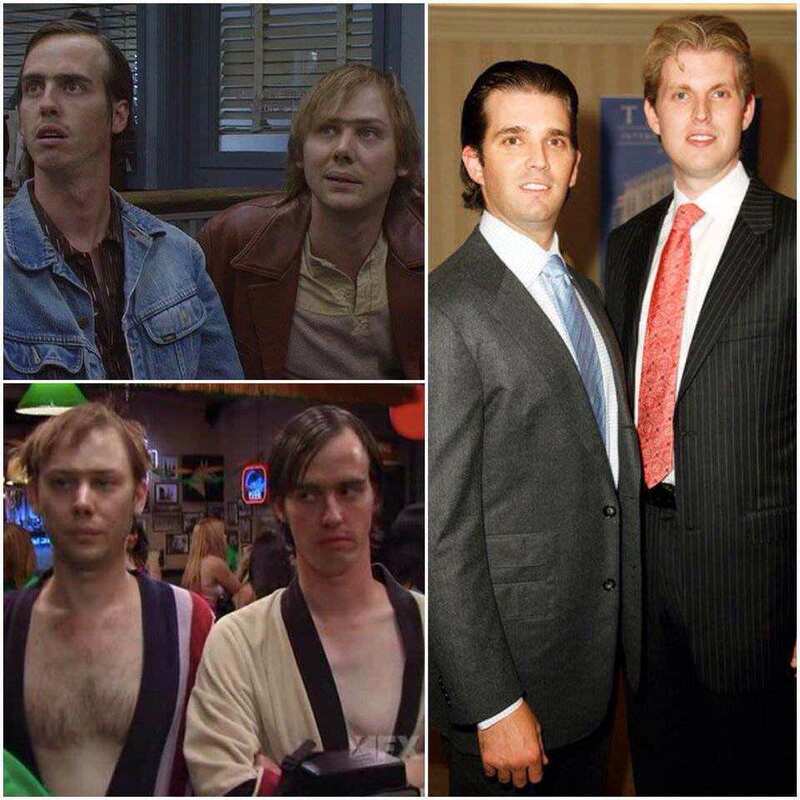 Or are they Don Jr. and Eric Trump??? Once you see.....you can't unsee. Where Do They Find These People On House Hunters? Ron Swanson or Jean-Ralphio Saperstein?